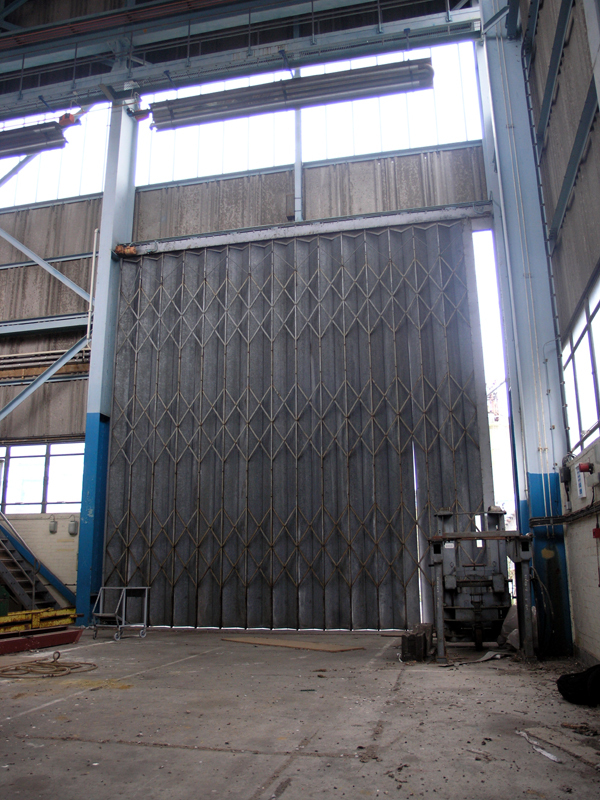 We’ve move back along the southern side of Number 10 Exhauster and enter the building through the southern loading bay doors. This is the view south, standing in the large loading bay at the western end of the building, and looking back at the doors we came through. Looking south in the loading bay.